Really, you can’t be much more satisfied than when a reviewer recommends your dark fantasy novel to fans of KJ Parker. 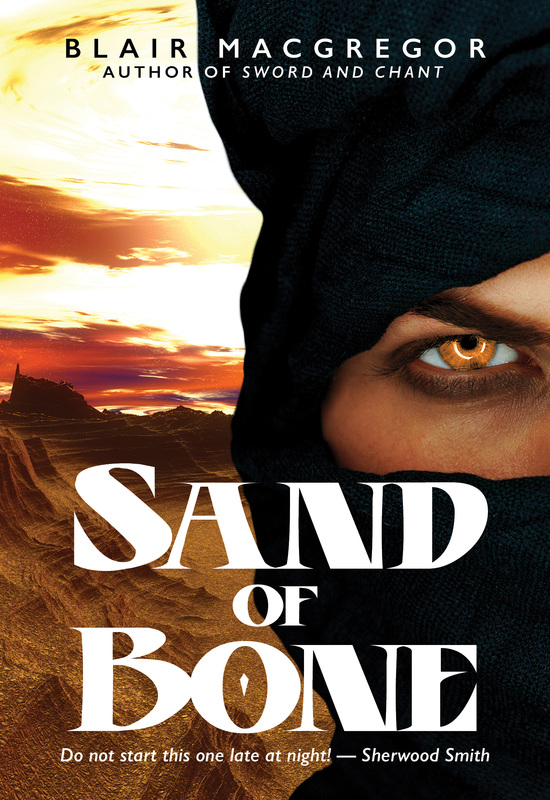 To my great happiness, reviewer Marissa Lingen chose to give a full review to Sand of Bone, just as she did for Sword and Chant. I love that she speaks about the themes of loyalty and personal motivations. The first one is the “public” face, the motivation that will rally others to agree and act. But the second one is the real reason, and is equally noble despite the fact most folks won’t give a damn about what happens to his son (outside of its PR value as an origin story, that is). It’s the public reason, the noble reason, that connects the empathetic few with the self-motivated whole. With Sand of Bone, I didn’t want to create characters motivated from the start by Grand Notions that would later be revealed as having personal underpinnings. It’s a valid storytelling method, to be certain, but backwards. I wanted to use my viewpoint characters to carry out the real-life version of what leads to dissention: start with deeply personal reasons for standing up to authority and, if enough people agree, maybe it’ll be deemed noble. If even more people agree, maybe it’ll be a movement. But for the characters, backstory is never backstory. It’s the reason for every breath. And the fact Lingen touched upon that in her review makes me even happier than the Parker-reader recommendation.